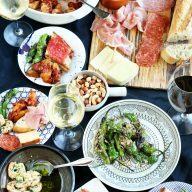 In part two of How To Host A Tapas Party, you’ll find out my final tips for the ultimate guide to simple entertaining. 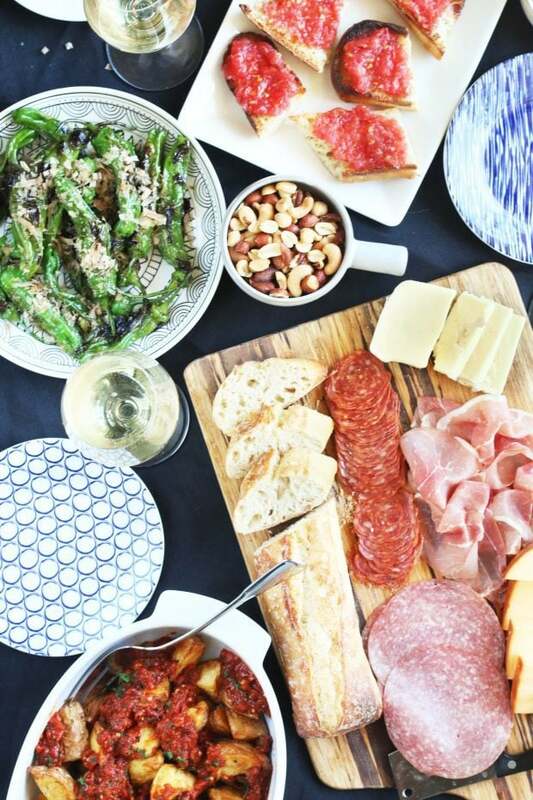 From a couple of additional recipes to tips on how to lay out your epic spread, you’ll be the master of tapas before you know it. The time to party is now my friends! 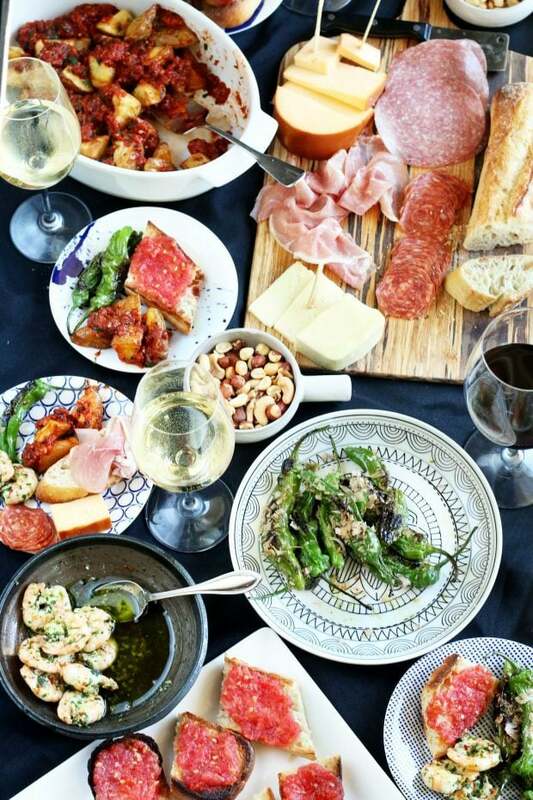 Are you ready to learn more about how to host the ultimate tapas party?! I am still freaking obsessed over this spread because it was just that darn good. As someone who will use any excuse to celebrate, I can’t help but share good food and good wine with the people around me as often as possible. 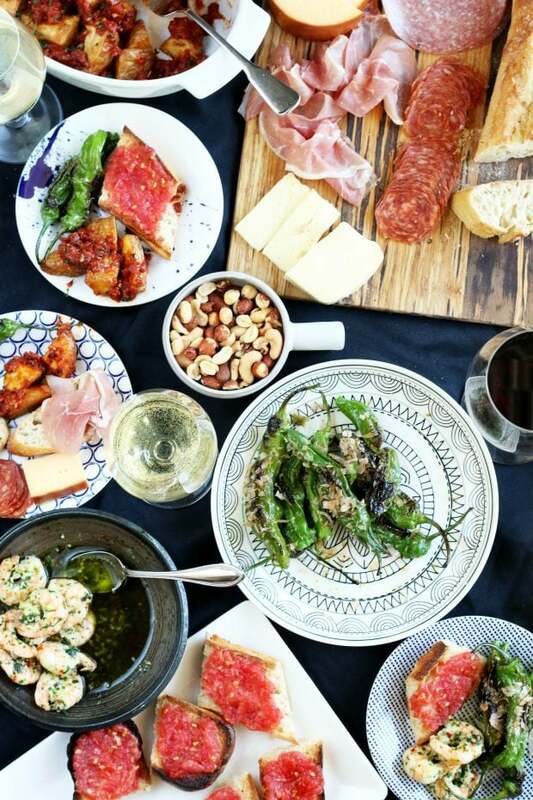 This tapas party is just the party to throw when you are in the mood to do just that. I know it can seem a little intimidating to throw a party like this, but I promise that it is much easier than you think – as long as you have a plan. That’s exactly why I made this two-part guide for you all. 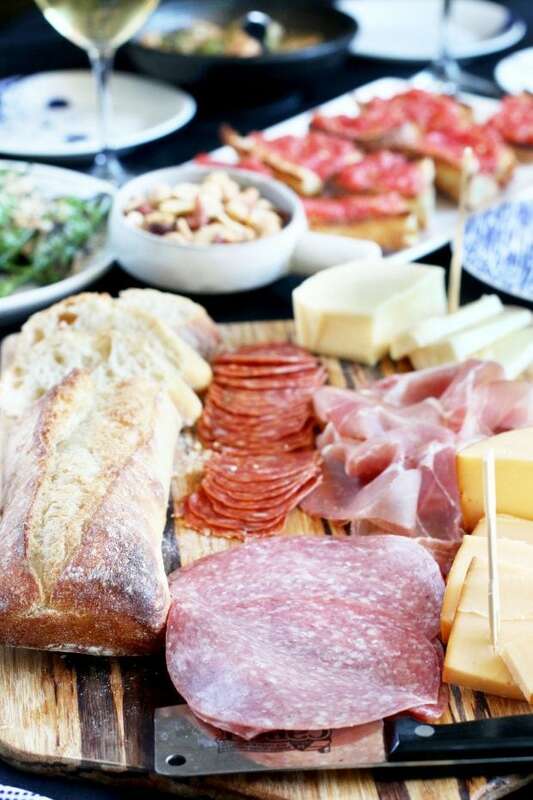 In part one of my guide to how to throw a tapas party, I helped you figure out your menu from small bites to boards, as well as some of my personal tips on conquering your grocery shopping experience. So let’s dive into my final tips so you can get this party started, shall we? 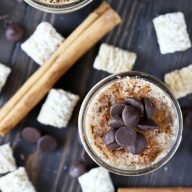 Technically I am continuing this from the first tip in my original post, but I needed to point out the other couple of recipes that I included at the end of this post! They are both common recipes that you often see in a tapas spread. 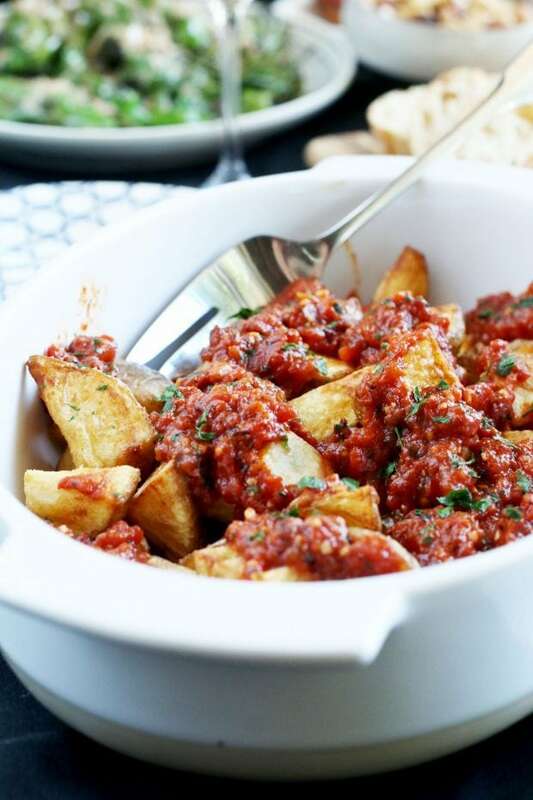 To start, we have patatas bravas which are essentially double-fried potatoes topped with a homemade rich and spicy bravas sauce. 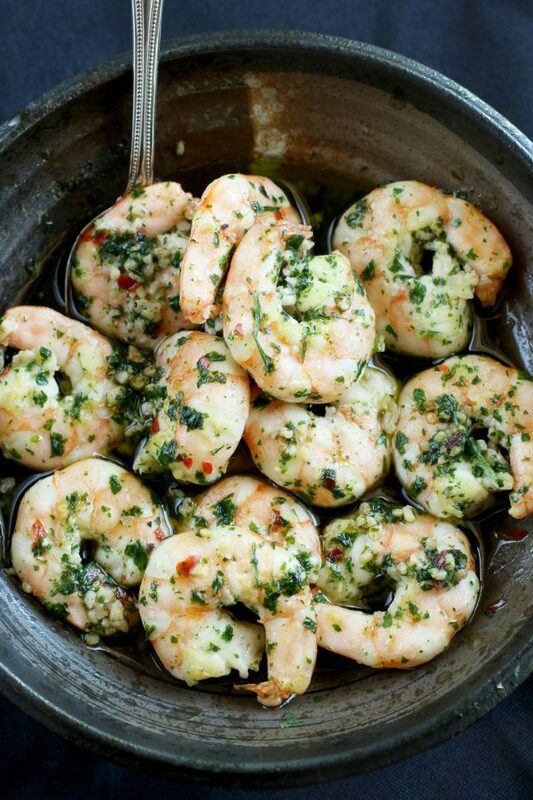 Then there’s the garlic herb shrimp. Cooked in a spicy, garlic oil and tossed with fresh parsley, this dish is ridiculously simple to make and everyone will be gobbling them up in no time. In addition to these, be sure to throw some mixed nuts on the table to nibble on throughout the party. The more for your guests to graze on, the better! The key to making sure everyone can enjoy the vino you choose to serve with tapas, make sure you have a few different ones for guests to choose from. The joy of the menu I proposed is that both red AND white wines go well with each dish. 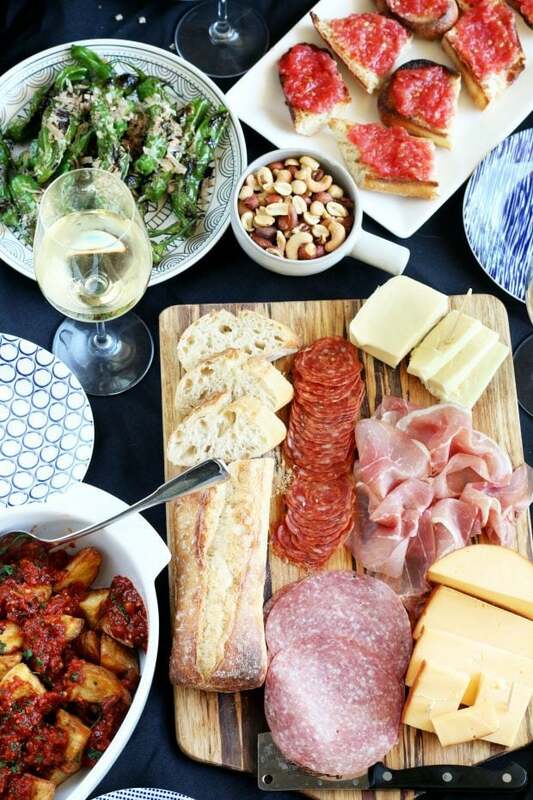 Enjoying the wine is one thing, but pairing them with the dishes you serve and tasting the way the wine changes with every bite and sip is half of the fun! I like to serve up Spanish reds and at least one Spanish white to keep with the whole tapas theme. It’s as easy as going to your local wine store and asking someone to point a few bottles out in your price range. Alternatively, if you like to live on the edge like I do, meander into the Spain section in your local wine store. Take a gamble on a couple and see what happens! In addition to the wine, don’t forget to have some sparkling water on hand, because it’s oh-so European and oh-so tasty (all you sparkling water haters, just shush). If you want a great brand, I recently discovered Topo Chico and it’s AWESOME. It’s one of the tastiest sparkling waters I’ve ever tasted and you should be able to find it at your local grocery store. The most intimidating thing (you know, aside from cooking) can be figuring out how to lay out all your food. Most people leave this to the very last minute, but when I am hosting a party, it’s the first thing I think about. First, you need to clear a table or kitchen island. Wherever you want to serve the food and wine, make sure that there is plenty of room for all the dishes, glasses, utensils, and napkins. Personally I like to utilize the kitchen island (well technically mine’s a peninsula), but you can also use the dining room table. Just make sure there’s enough room for the food and drink, as well as seats for everyone to sit if they choose. Go ahead and arrange the empty serving dishes that you will need for each recipe so everything has a place. Worried about getting them mixed up? Stick a sticky note on each dish with the name of the recipe that’ll be served in it. Pro Tip: think about the dishes that need to be served warm and if they are oven safe or microwave safe. 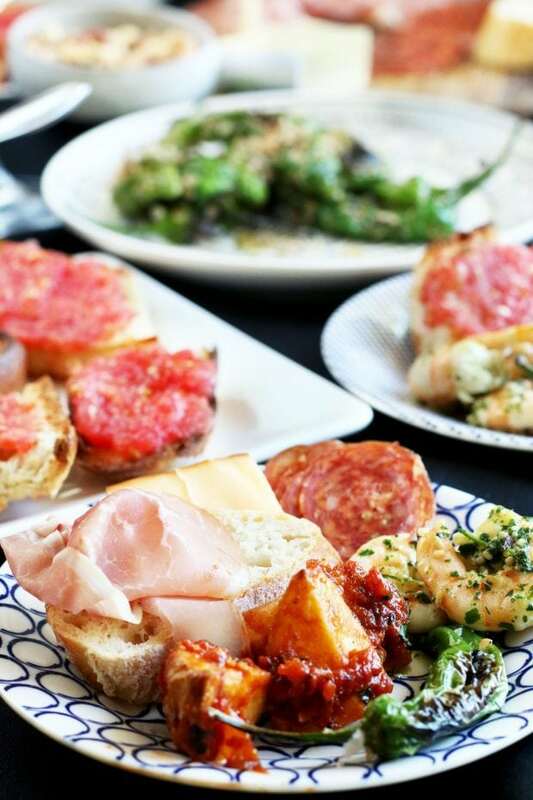 Tapas are meant for grazing so make it easier on yourself to reheat things just in case you need to on the fly. Then you need to make sure you have plenty of glasses, small plates, napkins, silverware, and serving utensils to accommodate all your guests and food. The more prepared you are, the better you’ll be able to enjoy yourself during the party!
. Each one is different in look and they are the perfect size to load up with all the small bites you’ll be serving! Premium Mixing Bowls with Lids are a must for cooking, but especially when it comes to having plenty of bowls to make all the elements of each small bite. is a must in my kitchen when it comes to frying ANYTHING. The heavy bottomed pan stands up to the heat and keeps the temperature steady as you fry. Don’t forget a Stainless Steel Spider Strainer to get those fried potatoes out of the oil! 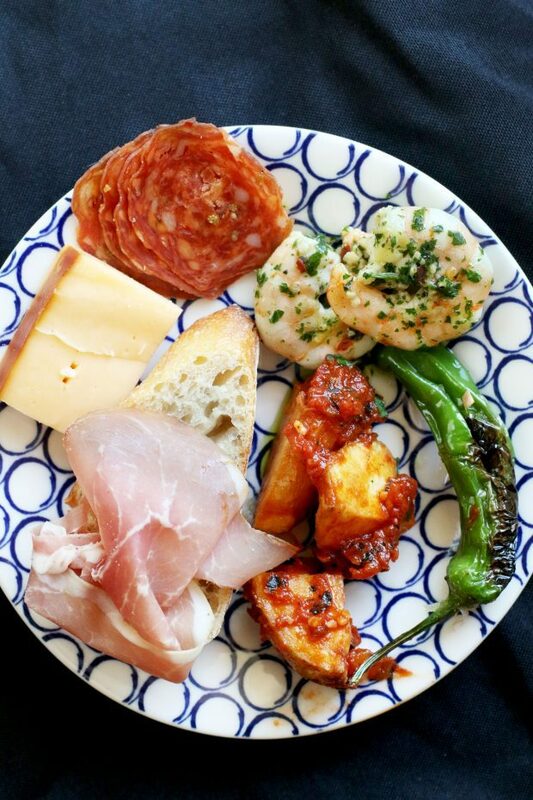 Pin this How To Host A Tapas Party – Part Two for later! 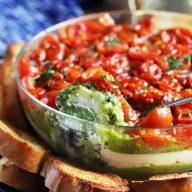 These two dishes are a must for a tapas party spread, making them a must for your menu! 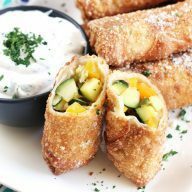 They are savory and full of vibrant flavors, so your guests are going to love them. Combine paprika, cayenne, sugar, tomatoes, garlic, salt, and pepper in a food processor. Pulse until coarsely ground. Heat olive oil in a medium saucepan over medium-high heat. Add the tomato mixture, stirring frequently, until the sauce is hot and slightly reduced, about 5 minutes. Set aside. Fill a large heavy saucepan (I use my Dutch oven for this) with 2-inches of canola oil and heat over medium-high heat. Once the oil reaches 220 degrees F, add potatoes all at once to the oil. Cook for 35 to 40 minutes, stirring occasionally to make sure they don't stick to the bottom. Use a slotted spoon to remove the potatoes to paper towels to drain. While the potatoes are cooling, return the oil to the heat and increase temperature of the oil to 350 degrees F. Fry the potatoes in batches, making sure not to overcrowd the pan, until golden brown. This will take approximately 4 to 5 minutes per batch. Remove to a new set of paper towels to drain. Sprinkle with salt. 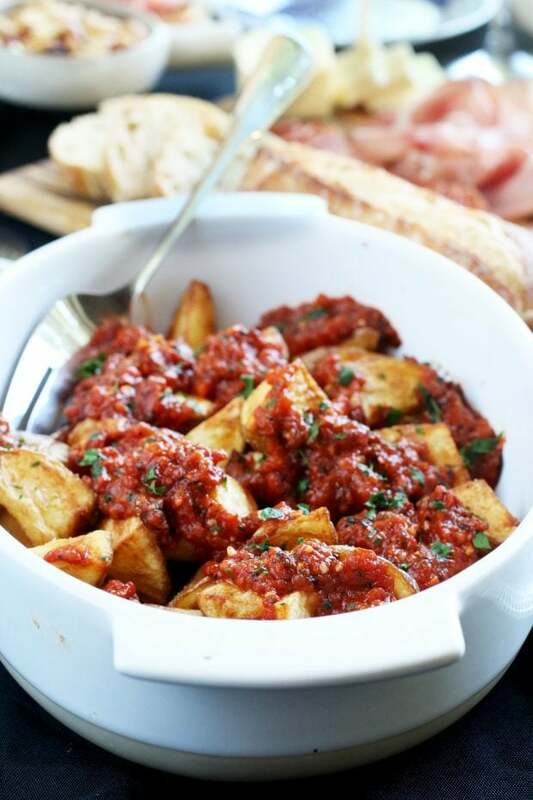 Add potatoes to serving dish and top with the tomato sauce. Serve warm, with a garnish of freshly chopped parsley. Heat a medium cast-iron skillet over medium-high heat until hot. Add oil, garlic, and red pepper flakes. Stirring occasionally until the garlic is browned, approximately 2 to 3 minutes. Stir in shrimp, salt, and pepper. Cook until the shrimp are pink and cooked through, approximately 2 to 3 minutes. Remove from heat and stir in parsley. Transfer to a serving bowl and serve.